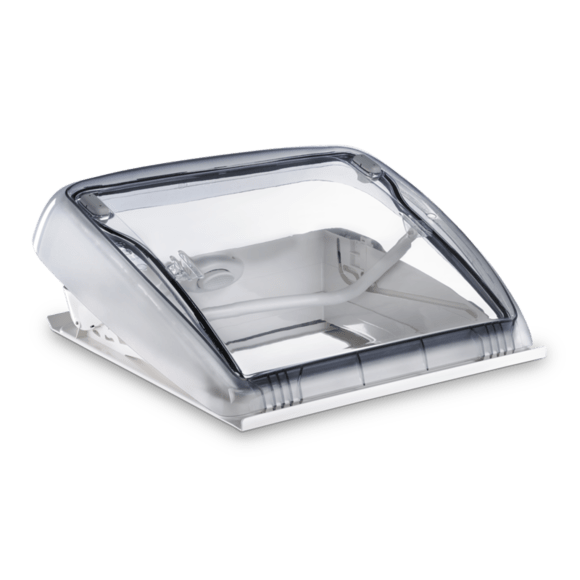 Constructed from hard wearing, durable materials, these Dometic Mini Heki Style Roof windows have an inbuilt reflective and darkening blind plus a fly screen – to keep insects and sunlight out. The 400 x 400 mm aperture allows light to fill narrow interiors, and a hand crank enables easy operation when opening and closing. It opens to three positions: fully open, half-open and bad-weather position to suit your needs. This product is an easy DIY installation for most vans. Please check out our ‘HOW TO’ section for help installing this product.